BOSTON, Massachusetts, December 11, 2014 (ENS) – ExxonMobil, Chevron, and WPX Energy are ranked among the worst fracking companies in a new report by a coalition of green investment firms that scores major oil and gas firms on their efforts to reduce the negative impacts of their operations. Fracking, short for hydraulic fracturing, is the process of taking millions of gallons of water, mixing it with tens of thousands of gallons of chemicals, including known carcinogens, and pumping it all underground at high pressure to break up shale rock formations and release oil or natural gas. This is the third report on fracking issued by this coalition of investment advisory firms and advocacy organizations concerned about the environmental and public health risks. The coalition includes: Green Century Capital Management, the Investor Environmental Health Network, As You Sow, and Boston Common Asset Management. The investment firms’ ranking is based on 30 companies’ public reporting on 35 key performance indicators related to management of toxic chemicals, water and waste, air emissions, including methane leakage, community impacts, and governance. Exxon, Chevron and WPX all scored less than eight out of 35 points. Only six companies – BHP Billiton Ltd., Hess Corp., EQT Corp., Encana Corp., Apache Corp., and Noble Energy Inc. – received points for reporting on more than 10 of the 35 key performance indicators requested, with the highest scoring company, BHP Billiton, receiving points for just 18 out of the 35 indicators. While a few companies minimally improved their scores over last year following pressure from investors, the industry as a whole is failing to report measurable progress in reducing the risks and impacts of fracking, the report finds. “Despite growing scientific evidence and public concern about the risks of fracking, the industry is failing to clean up its act,” said Leslie Samuelrich, president of Green Century Capital Management, an investment firm founded by non-profit environmental advocacy groups that co-authored the report. “We are extremely concerned about the health effects that fracking can have on entire communities,” said Deborah Burger, R.N., co-president of National Nurses United, a member of Americans Against Fracking. 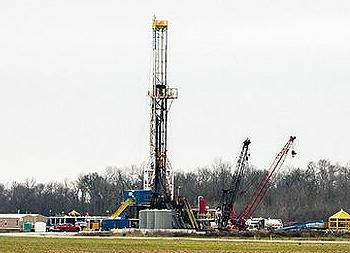 Green Century’s Samuelrich says the investors’ fracking report puts up red flags regarding natural gas investments. “The findings further demonstrate that gas companies are potentially risky investments, which was a principal driver in Green Century’s decision to divest from them in Green Century’s mutual funds,” he said. Overall, the investors’ report finds that companies across the fracking industry are relying on broad policies and anecdotal case studies to communicate assurances about their efforts to manage the risks and impacts of fracking, while failing to provide quantifiable data detailing these efforts. The industry most commonly reported on three key performance indicators: use of pipelines to transport water in lieu of diesel trucks to lower air emissions (66 percent); company policies on use of non-potable water for hydraulic fracturing (60 percent); and linkage of executive compensation to health, environment, and safety performance (60 percent). The report notes that companies are least transparent on their process for systematically identifying and addressing operational impacts on local communities, even though unaddressed community concerns are among the leading drivers of bans and moratoria. This year’s report included new questions about how companies are managing methane leakage, a controversial issue since methane is much more potent than carbon dioxide in terms of “global warming potential” over a 20-year time frame. The report finds that only three companies report on their rate of methane leakage. 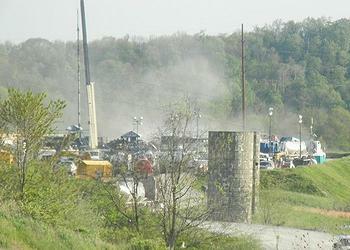 “Public controversy about fracking will continue unless companies can prove that they are actively working to reduce toxic chemicals, water contamination, methane leakage, and the other negative impacts of fracking that damage our environment and local communities,” said Lucia von Reusner, shareholder advocate at Green Century. While this year’s report again finds that the industry as a whole did not report measurable reductions of its impacts, a few companies improved their scores following engagements with concerned investors. * – BHP Billiton moved from near the bottom of last year’s rankings to receive the highest score this year. * – EQT is the third ranked company this year, doubling its score over last year’s rankings following engagement with Green Century. * – Noble Energy also nearly doubled its score following engagements with concerned investors.